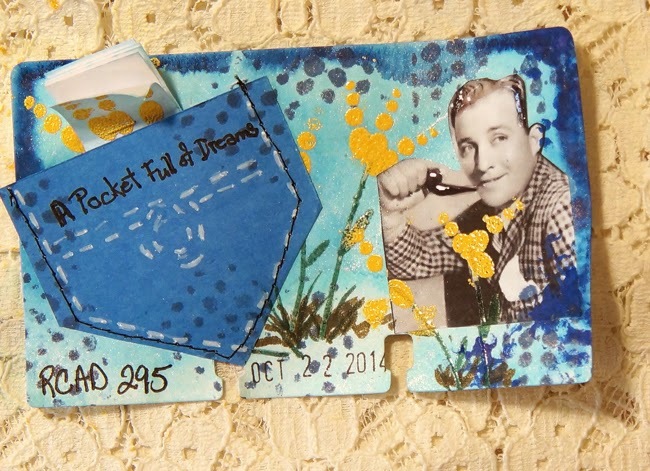 The inspiration for RCAD 295 came from a song by Bing Crosby called A Pocketful of Dreams. I was in the car listening to Pandora. When this song came on I knew it had to be one of my RCAD. Cause I've got a pocketful of dreams. I hope all of the dreams in you pocket come true! I really like Bing Crosby songs and this brought back wonderful memories. Linda this is brilliant love the image you have used of Bing Crosby also the words to the song, such a great man he was.